All Boy's gift sets are packaged in a finely finished presentation window box. 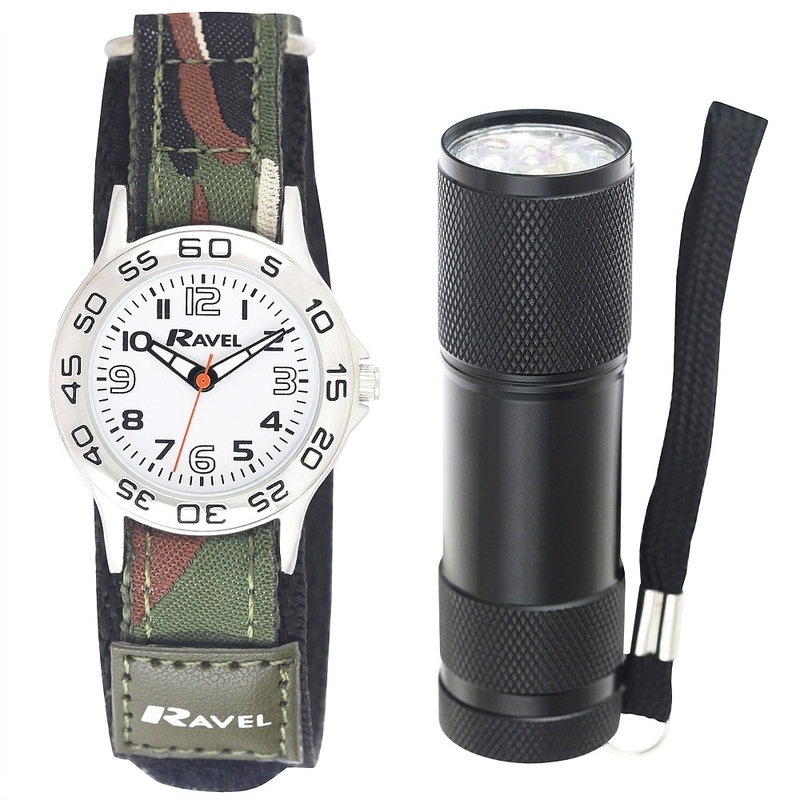 Ravel Velcro Watch with Camo Print - 27mm. Black Sports Hands with White Infill. Packed in Camo Printed Window box.